We’ve looked at dozens of long range scopes from the leading manufacturers, like Nikon, Bushnell, Leupold, and more. We’ve read hundreds of buyer reviews from everyday hunters like you, and consulted expert analyses in publications like Shooting Illustrated, Guns and Ammo, and others. 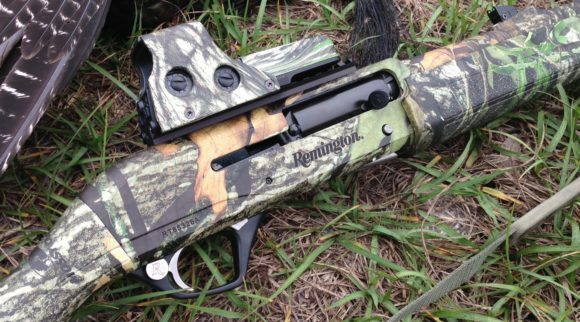 After all of our research, we’ve zoomed in on a few great choices for long distance shooting. We chose scopes that span a range of power, price, and equipment. You’ll find our full reviews of each of our choices below, with breakdowns of all the important features and specs of each one. Long range shooting requires intense concentration, timing and control. It tests any hunter’s judgement and accuracy. And as serious hunters know, long distance shooting requires a special kind of gun–powerful and precise. But without the right scope, even the best guns in the world are rendered useless over long distances. With the wrong scope, you’ll miss the big shot by those crucial few inches. 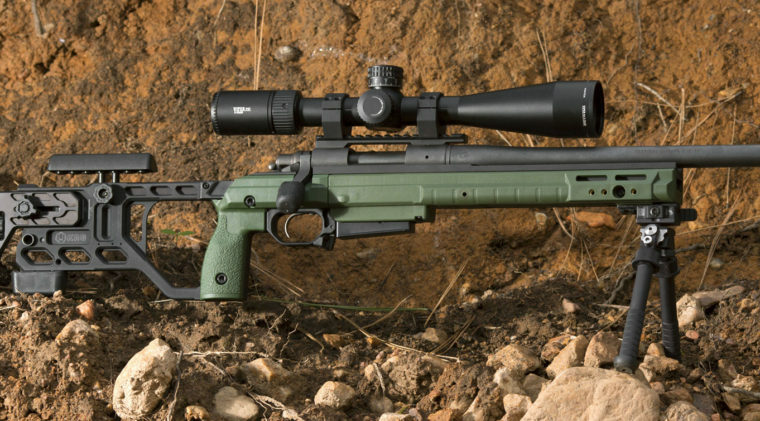 The best scopes for long range rifles are as powerful and precise as the guns themselves. As such, they command a pretty hefty price tag. How do you know which ones are worth your money? There are so many on the market that it takes an expert to sort out the duds from the money shots. Read on for our expert take on this niche category! 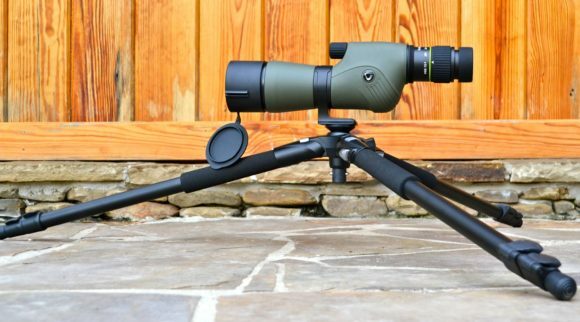 This is one of very few highly-rated long range models that’s less than half the price of most other long range scopes, but is designed to compete with all the big players. The adjustments include parallax compensation, and have spring-loaded returns for adjusting between shots. Online reviewers attest to the fact that it feels and performs like one of the higher priced models. The 3.5-14X range competes with more expensive long range scopes. You’ll be able to make precise shots out to 600 yards, with basic compensation for parallax. Both lenses are fully multicoated. The tube is also nitrogen purged and sealed with O-rings to keep out any fog and moisture. There’s a quick-focus eyepiece for bringing the reticle into focus at any zoom setting. We especially appreciate this for moving targets at long range, when you may need to jump 100 yards between shots. The reticle is a BDC (ballistic drop) arrangement which accounts for falling bullets over long distance. The BDC reticle has see-through bullet drop circles so you can judge distance while keeping your prey in sight. It’s simple and easy to use–even for non-experts! The reticle circles are also coordinated with Nikon’s Spot On ballistics app, which takes the math work out of making those important shots. You’ll be able to gauge range and bullet drop more quickly and accurately. You also get a few added bonuses in the package. The Nikon ships with lens caps and and a sunshade for blocking reflections in full sun. These tend to be additional costs on more expensive models, so they’re a nice touch with a model of this price. The spring-loaded adjustment turrets instantly reset to zero when released. We also love that you get two turret sets, one for hunting and an exposed set for target shooting when you don’t need the extra protection. 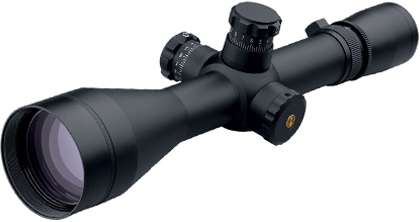 For a long range scope with this much clarity and precision, you can’t beat the price. It’s not made in the U.S., but it’s still guaranteed for life and manufactured to a very high standard. A few reviewers said that the reticle is a bit wide. This wasn’t so much a problem as a matter of personal preference. It’s certainly not wide enough to obscure your targets. The reticles aren’t illuminated on the standard model. While you don’t need the light, that tends to be a standard feature on optics above $500. This Leopold is a modified version of the company’s military-issue tactical scopes. It has a very high range of magnification, with lots of top-end power. It uses a mil-dot reticle, which is the most precise available. There’s also a wide range of adjustment with the spring-loaded knobs. And it’s built to last, with a machined aluminum tube and a lifetime warranty. The 4.5-14 range provides plenty of viewing power over very long distances. Plus, the main lens is wide enough to provide a 7.6 ft field of view at 100 yards. Both lenses are fully multicoated and make use of a special new Mark 4 formula from Leupold. It’s supposed to be even better than previous generations at reducing glare while letting in as much light as possible. Plus, it adds scratch-proofing and water smudge resistance. The Mark 4 also uses a special twilight lens system for low light visibility, allowing hunters to shoot further into the evening hours. Evening light diminishes green light and increases blue/violet light, which is harder to see with the human eye. Leopold’s Xtended Twilight Lens System uses lens-specific coatings to maximize transmission of the blue/violet spectrum, while keeping a color balance in the lens. It sounds complicated, but it produces practical, tangible results. Previous buyers said that it gave them several extra hours in the evening, which is ideal for hunting hogs and other nocturnal critters! The shaft is engineered from a single piece of aircraft-grade aluminum. Between the seamless design and the 33 mm diameter, it’s incredibly strong. It’s also shorter than many options. The compact design makes it easy to mount, and easier to reach all the adjustment turrets. The adjustment turrets provide sure clicks when rotated, and you can feel it through gloves as well. Each click is .25 MOA, and 72MOA in full. In practice, many hunters said they got over 100 MOA. All the turrets are spring-loaded, so they’re easy to reset between shoots. Many hunters spoke highly of the mil-dot reticle. 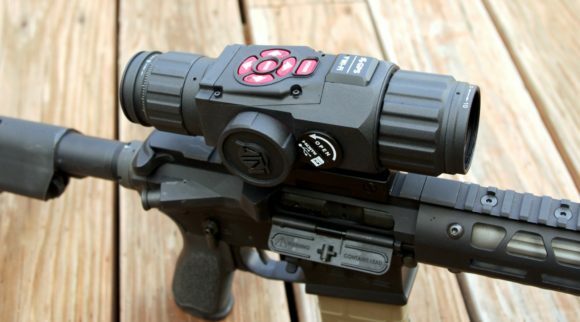 It’s a tactical, military-style sight with an easy-to-follow marking system for the rest of us. We like it because it’s very legible and straightforward, without compromising its accuracy. Like all Leupolds, it’s built and tested in the U.S. It’s also backed by a lifetime guarantee and a very well-respected customer service center. The shorter length means that the bell is a bit wider. That means you might have to use a different mount setup than you would for other options to maintain distance along the rail. We’d suggest you avoid low scope rings, and use something in the medium to high range. Some reviewers thought that this one was a bit pricey for being non-illuminated. This is the ultimate for long range shooting. While it’s easily priced more than the Leupold, it’s even higher quality. It doubles the zoom power of the Leupold, and has a much wider range than other high-end options (5-30 power). Reviewers said it was a huge investment, but made them buyers for life. If you’re tired of scopes that are just “good” but not “amazing”, this is the leap to take! 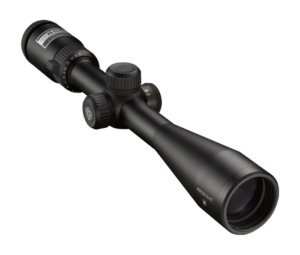 The Swarovski zooms to a full 6X magnification, where most other 33mm models only go to 4X. That means you can keep the objective power low, then zoom. This maintains your wide field of vision, but gets you further afield. The reticle remains the same size, no matter how much you zoom in. That keeps things precise and easy to read, even at full-zoom. There’s also an illumination feature. It’s fully adjustable, with a whopping 20 different light levels onboard. Swarovski takes things a step further than the 10-12 options on most brand-name scopes, and gives you Daytime and Nighttime modes, each of which have 10 specific settings that cater to the specific time of day. The light automatically shuts off when the gun is taken out of a shooting position (leaned sideways, or at an angle). That way, you never forget to turn off the light or kill the battery by accident. Swarovski really has looked for every opportunity to optimize the light performance on this scope. Microstructure grooves inside the tube cut any reflection between the lenses, which can diminish contrast in the image presented to your eye. Both lenses are fully multicoated with a special fluoride formula. It’s supposed to translate color better than other coatings, so you’ll have better sight in dusk/dawn hours. All the adjustments are made via Swarovski’s 4-coil spring system. That means that even after a few rounds from the biggest guns on the range, this scope has perfect repeatability. Even if you drop the gun between shots, it’ll be just where you left it. There are lots of other smart touches that you’d expect with a scope of this caliber (and price), like the fact that the reticle doesn’t become larger as you zoom in–giving better precision at the longest distances. It’s also engineered to work better with even the highest-power rifles. The eye relief is extended for better safety, and all the adjustment knobs are loaded with a 4-coil spring cushion to maintain absolute zero despite serious kickback from big game guns. High-end gunmakers swear by Swarovski. The only real downside is the price. Let’s not beat around the bush–the Z6 is an extremely expensive scope. Unless you have a very nice rifle, it might be overkill. However, if you’re going to invest in a big game gun, or a hunting trip out on the prairie, you owe it to yourself to get the best scope in the game. 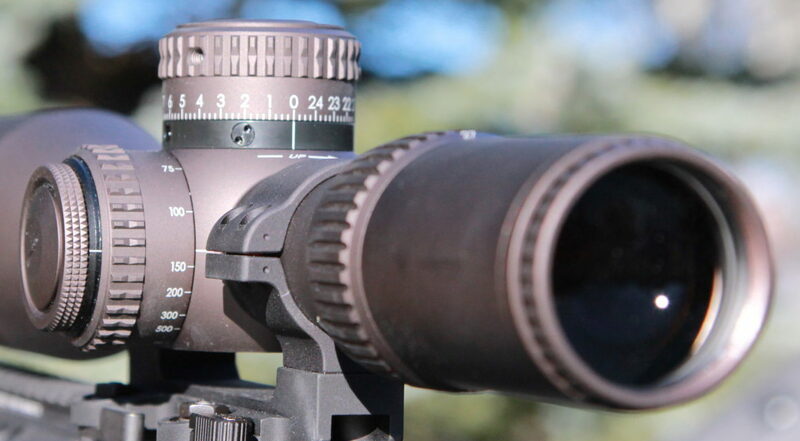 Be prepared to spend more for a long distance scope than you would for an all-purpose scope. Big guns give you the reach to hunt at long distances, but they do so by using big lenses, and these are innately more expensive to produce. You can do fairly well with some baseline scopes. They won’t have quite as much range in terms of power, but they’ll be very accurate and reasonably powerful. 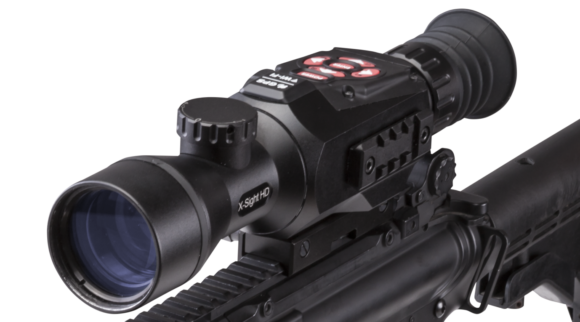 There are a few good scopes between $500-$1,000, with full multicoating and technical reticles. We’ve recommended the Nikon ProStaff in that category. These scopes will take you to some pretty impressive distances without approaching the exorbitant price tags that true long range scopes carry. The downside of going with these inexpensive options is that they won’t perform as well at the very extreme of their range. That doesn’t matter with most guns, but when it comes to hunting at long distances, that’s usually where you’ll spend most of your time aiming. You’ll also find that sub-$1000 scopes don’t stand up as well to the recoil on a big, powerful gun. 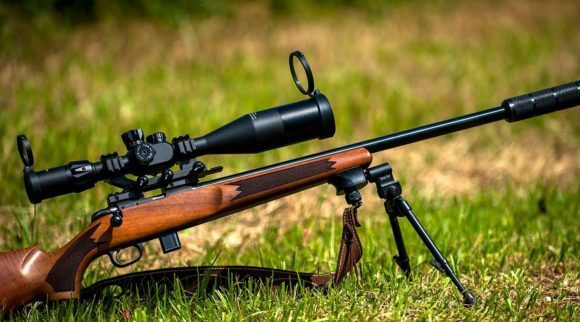 Between those two factors, we recommend these primarily to folks who are new to long range hunting, instead of folks who are already serious about it. If you’re serious about long range hunting, you really want to consider investing in a mid-to-high range scope. They run between $1,000 to $2,000. These scopes have markedly better instruments and lenses, and give you better power and precision. They also stand up to kickback without being knocked out of alignment. It makes sense for serious hunters to shell out for a serious scope, otherwise you may be wasting your time and under-powering your gun. The most important aspect of a long range scope is its magnification power. (Read more on how to navigate specs in our article explaining Scope Terms) This is controlled by the power factor of the objective lens. Most general purpose scopes have 3-10X range, and are good for around 300 yards. Long range scopes should have magnification powers to shoot well over 500 yards (3-30x, though most top out near 25x). Look for a bottom end At long range, 3-5X magnification just won’t cut it. Look for scopes that adjust up to at least 14-18+X magnification, to take you beyond 600m with deadly accuracy. At the same time, you want to leave yourself enough leeway at the bottom of the magnification range that you’ll be ready if your prey moves closer. Try not to sacrifice too much of the lower end, unless you know you won’t be taking shots at 100 yards or so. We suggest staying under 5x for the lower end. At long distances, you also need precise adjustment. That means you want knobs with definite “clicks” and locking mechanisms, so you can be sure of each measurement you take. There shouldn’t be any wiggle room or uncertainty with your turrets! Even little discrepancies can throw off your shot by a long way. A long range scope should have adjustment turrets with firm, precise clicks. At long distance, clarity is even more important, so you’ll want dials with easy gauges, simple figures, and a system you can understand. Most long range dials work on .1 or .25 min. adjustment. These are designed to work with both mil-dot and BDC reticles. (Learn how to use the mil-dot) Exposed or tactical turrets give you a bit more control, and are easier to read mid-shoot. These are a bit more manageable on a long range hunt, because you generally won’t have anything knocking against them. More expensive scopes have better knobs and spring cushion systems. These things are very important when you’re using a long range scope with a high powered rifle (and you almost certainly would be). Many scopes use spring/coil systems to shock-guard the turrets against recoil or drops. That gives you better repeatability during your hunt. Long range scopes also should have precise crosshairs, with mil-dot or BD measurements on the reticle. This helps them account for distance, elevation, and windage. Ideally, your scope will have a mil-dot reticle and adjustment turrets for both mil-dots and BD yardage. You can certainly use BDC-style reticles, but true tactical shooters always go for mil-dot setups. Obviously, duplex reticles are totally inappropriate at these distances. Other key adjustment knobs to look for are windage and parallax. These are less important up close, but can make a crucial difference at long range. So, which scope is best for you? If you’re on a budget, or only hunt at long range on occasion, the Nikon is a sure bet to give you everything you need in a simple and relatively inexpensive package. It’s not much more expensive than an all-purpose scope, but gives you range out to 600 m. Its build quality is also solid, with full multicoating on the lenses and an aluminum frame. However, it’s not as precise or powerful as the Leopold or Swarovski. For the most serious hunters, the Swarovski Z6 provides the best of the best in long range hunting precision. The zoom on this scope goes far beyond either the Nikon or the Leupold, and the Z6 matches the power of its lenses with the precision of its instruments. It’s also as smart as you’d expect for its premium price point, with spring-coil adjustment retention, parallax compensation, and other clever features which simply make it better for big guns than the competition. With all that said, because of its price tag, we’d only recommend it to the most serious of hunters. 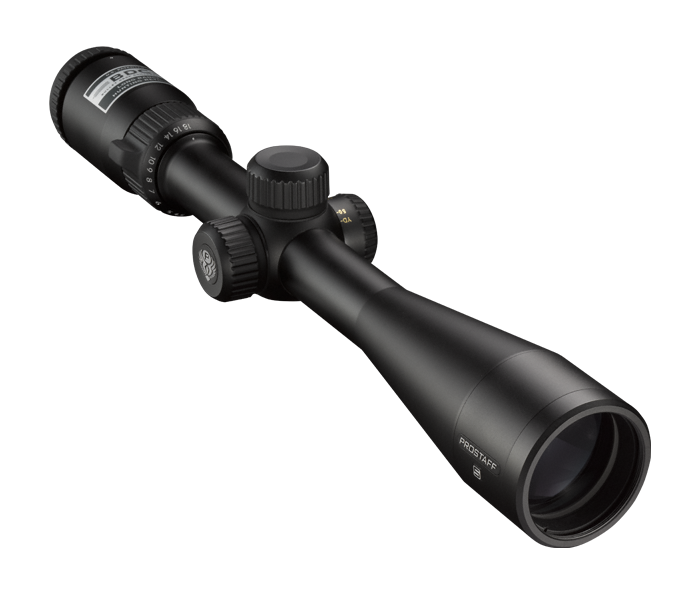 The Leopold is a good mid-range choice for people who want a more serious scope, but don’t want to break the bank for the Swarovski just yet. It has a bit more power and range than the Nikon, and adds a few smarter features that move it into the mid/upper-range scopes. We particularly like the low-light visibility coating, spring cushioning, and quick focus zoom function. We hope you’ve seen at least one scope that suits your needs. 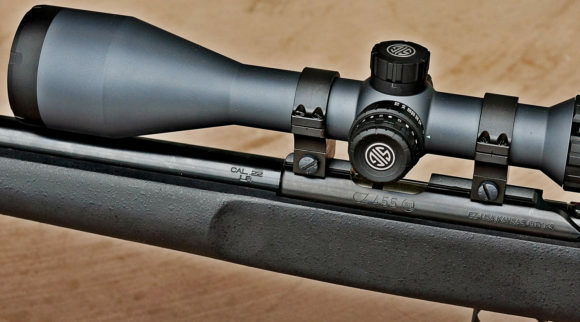 If you’re looking for something slightly different, you’ll still have a better understanding of exactly what type of scope you need for your long distance rifle. There are variations on each of these three scopes for a similar price range. We’ve also got you covered for the rest of your shooting needs! On this site, you’ll find our handy guides to the best AR-15 scopes, the best night vision scopes, and much more! Each of our guides provides comprehensive reviews and a quick overview of how to shop for each type of scope.